I love bands that don’t take themselves too seriously. Mix in these influences: Black Flag, Budweiser and Blackbeard. What you get is a ruckus of a good time. Things move pretty fast because each song averages about two minutes, sometimes less. The last song clocks in at 5:47; it seems out of place in length considering the length of the other ones. Band names always interest me; sometimes it’s a puzzle to figure them out, but not in this case. Sirhan Bishara Sirhan was convicted of assassinating Senator Robert F. Kennedy in 1968. The fast power-punching guitar of each song keeps you slamming till it stops, then it starts right up again, no rest for the angry. I could maybe understand 10% of the lyrics but, since these guys aren’t auditioning for a Quinceanera, it really doesn’t matter. I’m not sure, but I might have heard some pirate talk in a few songs. Like I stated, these guys seem like they want to have a good time and their devil-may-care attitude fits perfectly. Rock, punk and metal is what they combine. The last song, titled “Don’t Shoot,” is more of an instrumental track with the title being repeated over and over. Creepy, huh? 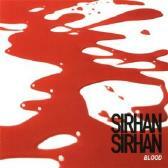 Sirhan Sirhan: Cap'n Blackie – guitar, throat; Mike Johnson – bass, screams; Big Jim Organ – trap kit. For more information, check out http://www.myspace.com/sirhansirhan or http://www.sirhanland.com.